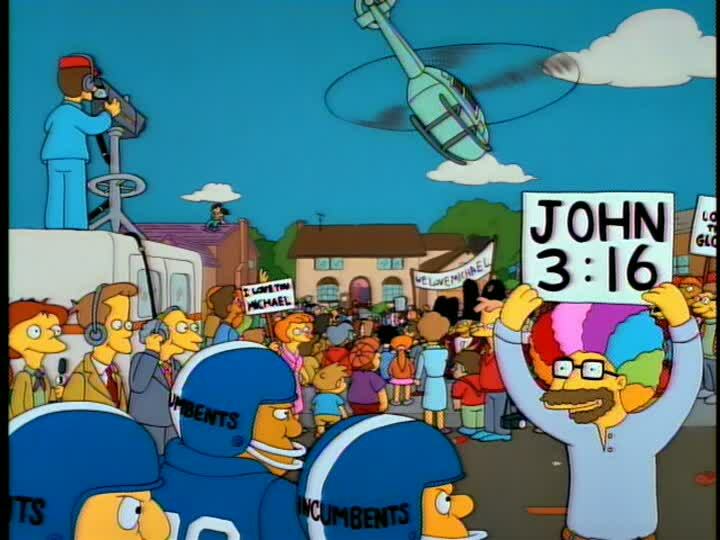 We’ve all seen him, the man with the colourful hair at sporting events holding up his sign with John 3:16 on it. Do you know the verse? You should, not only because he made it famous, but because it is a fundimental verse in Christianity. What great sacrifices have you made, because God made the ultimate sacrifice for YOU! God came to live amongst us as a human in flesh, gave up all his heavenly power, and eventually suffered and died so that you could eventually join Him in heaven. He didn’t even know you at that point and yet He gave up everything and suffered a terrible death, so that He could get to know you. With that in mind, shouldn’t you accept that great gift, and believe (or follow) Him to salvation? Its easy, all you have to do is ask Him to come into your heart. “Dear Lord Jesus, I know that I am a sinner, and I ask for Your forgiveness. I believe You died for my sins and rose from the dead. I turn from my sins and invite You to come into my heart and life. I want to trust and follow You as my Lord and Savior. In Your Name. Try it and see how good you feel inside as God’s Spirit fills you.